See, I told you it would be simple! And the best part is that it doesn’t matter what year you try this trick out. As long as you follow the rules, you’re bound to eat for free. The phenomena I just described refers to a cultural institution in Calgary called the Stampede breakfast. If this concept is new to you, allow me to explain. During Stampede week in Calgary (which actually spans 10 days), it is absolutely impossible to go hungry during the first part of the day. That’s because every single group/business/school/mall/etc. that has an open space and some willing flapjack flippers hosts a Stampede pancake breakfast. And if your group/business/whatever doesn’t have any willing flippers, you can always call in the Stampede Caravan Committee to whip up the traditional breakfast for you. The group of volunteers has been serving breakfasts up since 1976, so you know their flapjacks are always flipped to perfection. Among locals, the quality of pancake breakfasts are debated and discussed with an intensity usually reserved for hockey rivalries and playoff chances. Considering Chinook Centre (a local mall) hosts upwards of 60,000 people at their event each year, one would assume their pancakes are pretty damn good. But if you’re into quality over quantity, it’s hard to beat Community Natural Health’s event. Not only does their award-winning green breakfast cater to everyone’s diet, but they even give out real butter and maple syrup (that is definitely not the case at other Stampede breakfasts). If your goal is to hit up as many free pancake breakfasts as is humanly possibly during Stampede week, you’re going to need a plan. 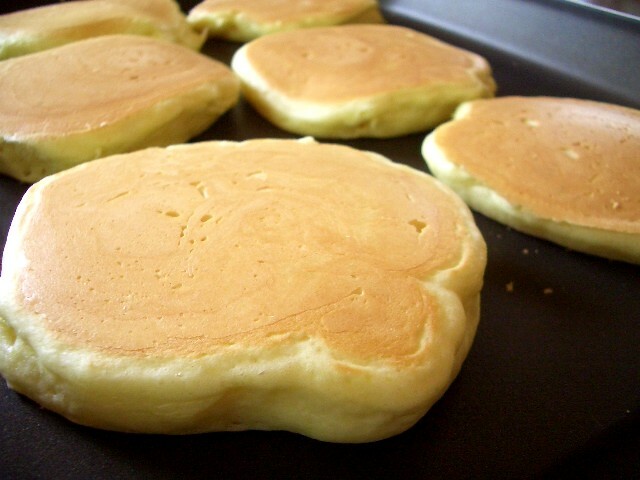 Luckily for you there’s flapjackfinder.com, a website that is solely dedicated to ensuring you get your fill of pancakes and watered down juice come July. The website features a countdown of “days till flapjacks” in the lead up to Stampede, and has an interactive map that allows you to plot your path from one breakfast to the next. If that’s not enough to make you happy, they also have a downloadable App that will ensure you’re never without instant access to flapjack whereabouts. I’m of the mind that you really can’t get away with avoiding Stampede breakfasts if you’re in Calgary during the event. But if you somehow manage to do so, you better get your sorry self back here next July because you haven’t truly experienced the Stampede until you’ve been treated to Western hospitality fresh from the griddle. Yahoo and happy 100th birthday to the Calgary Stampede! ← C’mon the Boys in Green!